As the home of SXSW and Austin City Limits, it’s no secret that Austin, Texas is a worldwide hub for live music, and plenty of promising independent, up-and-coming, and well-established acts call the city home. One of these is Those Damn Eyes, a budding rock band driven by the powerful vocals of frontwoman Meredith Williams. This winter, we worked with Those Damn Eyes to promote the video for their single “Give and Take”, which came as the followup to their 2016 debut EP Glass Crash. 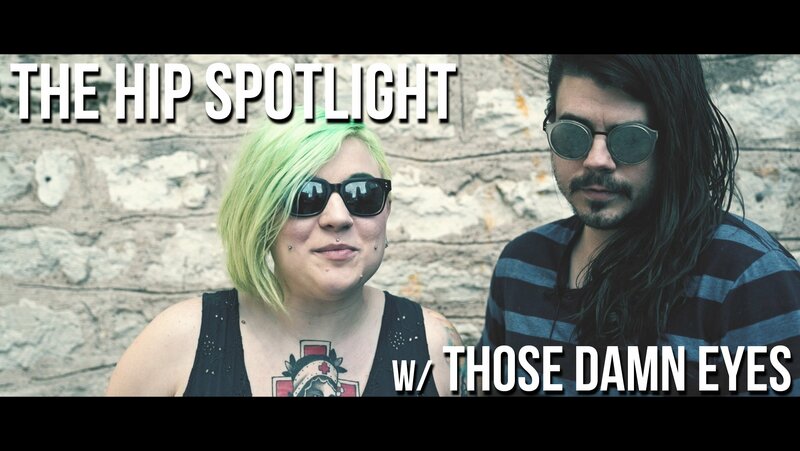 The HIP Video crew made the trek to Austin earlier this month where they met up with Those Damn Eyes to film this HIP Spotlight interview. In the interview, they talked about the ideas behind the “Give and Take” video, what it was like making the video, and how they brought their dark, yet playful, vision to life. Watch the HIP Spotlight with Those Damn Eyes, and the video for “Give and Take”, below! If you like what you see and hear, be sure to keep up with Those Damn Eyes on Facebook, and Twitter!